I re-scaled my 1/100 model of the Boer War vintage "Long Tom" to 1/285 scale, and put it on a sprue of six. 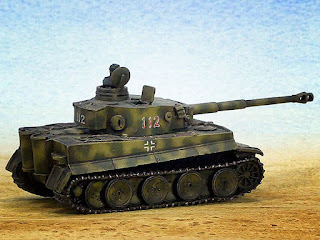 I did it mainly to see how much it would cost for a battery of guns of this sort of size — in FUD it comes to $12.50, and in WSF $8.00 (though I strongly suspect the WSF would look pretty crap). Well, not very new technology, but new-ish. I have a new camera, a Panasonic Lumix DMC FZ-300, to replace my aging Fuji f6500d. It has many bells, and also whistles, and it will shoot 4k video, which is nice I guess. There's not really all that much difference when it comes to automated point-and-shoot photography, but there's enough difference when I'm shooting models on my little lighting stage that it's taking me a while to work out exactly how best to approach it. The camera's resolution is fine at 12 Mpx — it's not up to the standard of high-priced DSLRs, but that's not really an issue for me since I don't need the capability to print high-rez full-frame A1 posters. The lens is good (it's a Leica product) and it has a very respectable zoom, 25–600mm equivalent at f2.8 throughout. These photos of my Tiger 1 were shot straight to .JPG and then re-sized to 800x600px. I need to learn a bit more about how to manipulate the camera's metering system, as these images tend to favour the light background over the more important foreground stuff. I know I can adjust for that, I just don't yet know exactly how. 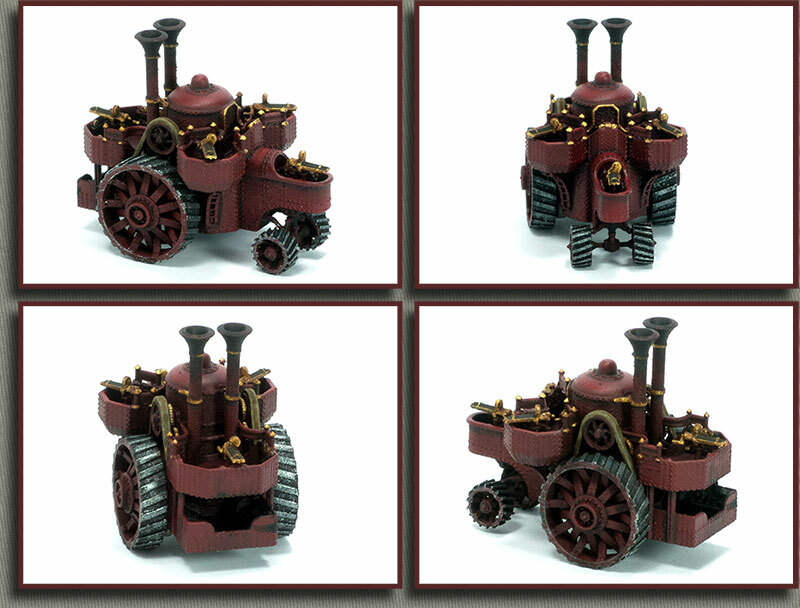 These next were shot to RAW, cropped down to frame the important bits and resized to 800x600px. I couldn't figure out why they were so grainy until I remembered that when I was fiddling around with the camera controls, I'd reset the ISO to 800 and forgot to set it back to ISO 100, my usual for shooting models. Even so, the images are reasonable for display on the web. Generally speaking, I'd say that I'm pretty happy with the camera, and if it gives me as long service as I got out of my Fuji f6500d (which is still perfectly serviceable, I might add) I'll be very pleased. 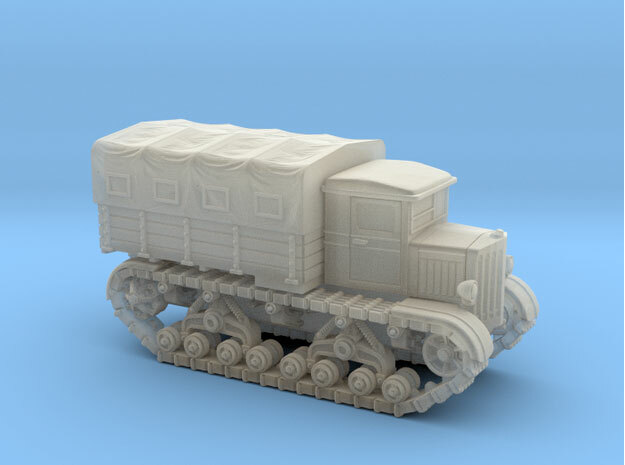 I re-scaled the Voroshilovets tractor to 1:285 scale and put it up on Shapeways as a single model, and as a sprue of four vehicles. This one has been a lot more difficult than I expected, but I think I've cracked the canvas tilt at long last. It could certainly be improved, but it looks a lot better than my first attempts. Unfortunately, it also massively inflates the file size, but que sera sera. The 4-up sprue is at http://shpws.me/MmS9, the single vehicle model is at http://shpws.me/MmSD. Large, heavy and underpowered, and unarmed except by sticking a machine-gun up out of the large trap-doors in the roof, the Gepanzerter Mannschaftstransportwagen MTW Sd.Kfz.3 was based on the Daimler DZVR chassis and entered service in December of 1920 with the newly-reformed Reichswehr of the Weimar Republic. 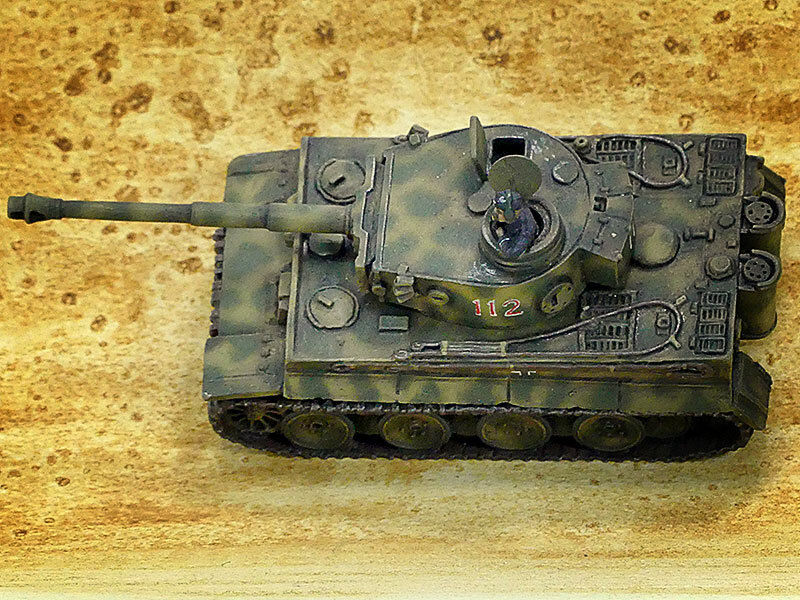 105 were produced by Daimler and issued to 7 motor transport battalions (15 each). MTW was designed to carry 12 men and 3 crewmen. This heavy personel carrier weighed 11 tons and had poor cross-country performance even with four-wheel drive because of its solid rubber tires. 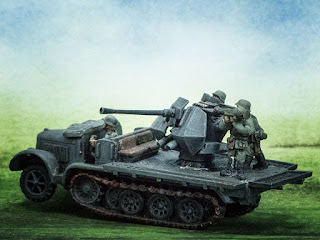 Vehicles remained in service into 1930s and entered service with the Wehrmacht as Sd.Kfz.3. 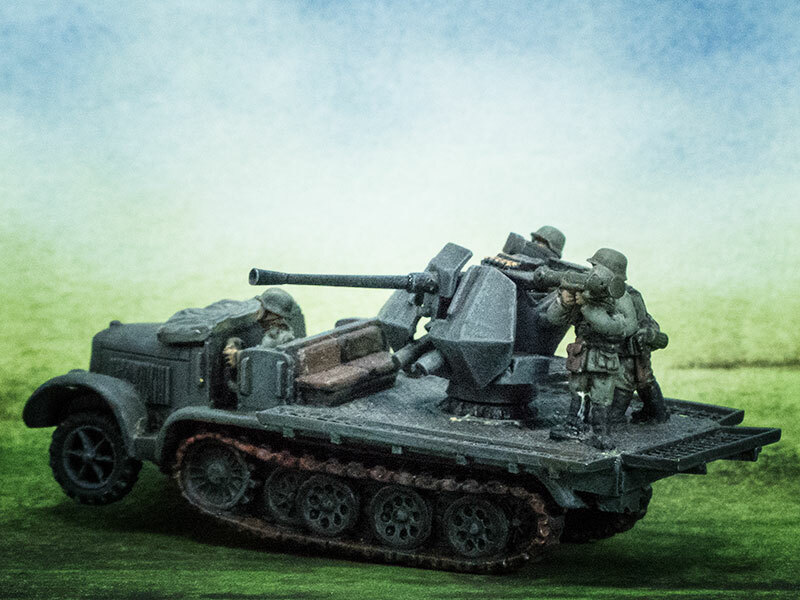 They were quickly relegated to tactical training duties as reconnaissance armoured cars. Some were equipped with radio sets and frame antennas and were used as radio command vehicles and used in the invasion of Poland. 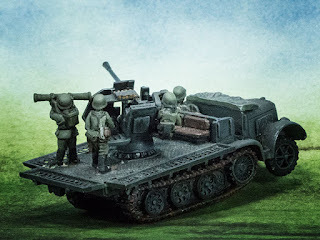 I'm building another Soviet artillery tractor in 15mm (1/100 scale), this time the Voroshilovetz, the replacement for the aging Komintern. 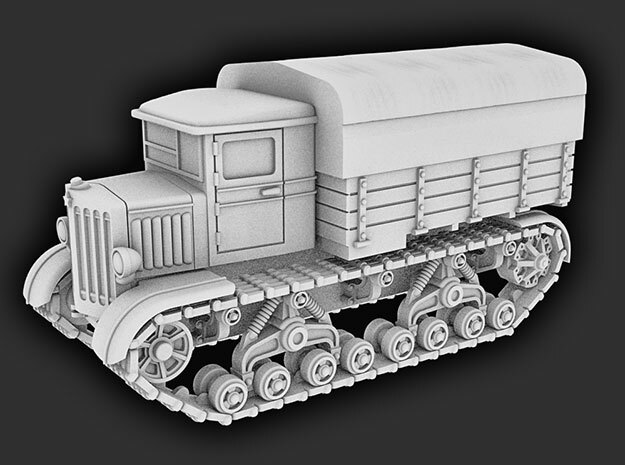 A lot of the geometry is from the Komintern model, but almost everything needs some adjustment, and the running gear had to be rebuilt almost from scratch. I had a go at building a canopy for the back, but it wasn't very successful. I can't seem to get the drape of the fabric right. I'll give it another go, but I have to say that organic shapes are really giving me grief. I've sort of managed to get the canvas of the canopy looking more like fabric, though I think some of the geometry is a bit suspect for printing. We shall have to see how it goes. 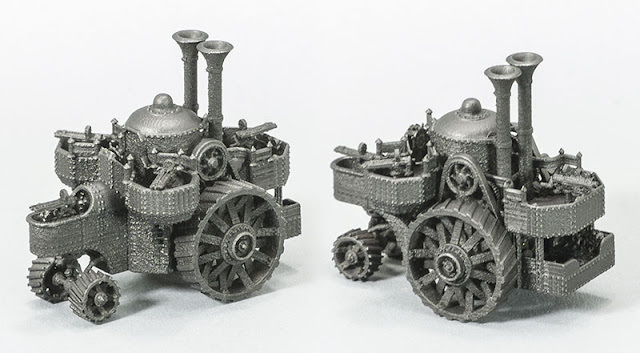 Shapeways' automated pre-checks passed it, which is nice I guess, but those automated checks seem to be countermanded fairly regularly when the model gets to the manual pre-checking stage. Adding the tilt to the back bumped up the WSF printing cost by about two bucks fifty, and the FUD print by about four bucks fifty, which is less than I had feared. 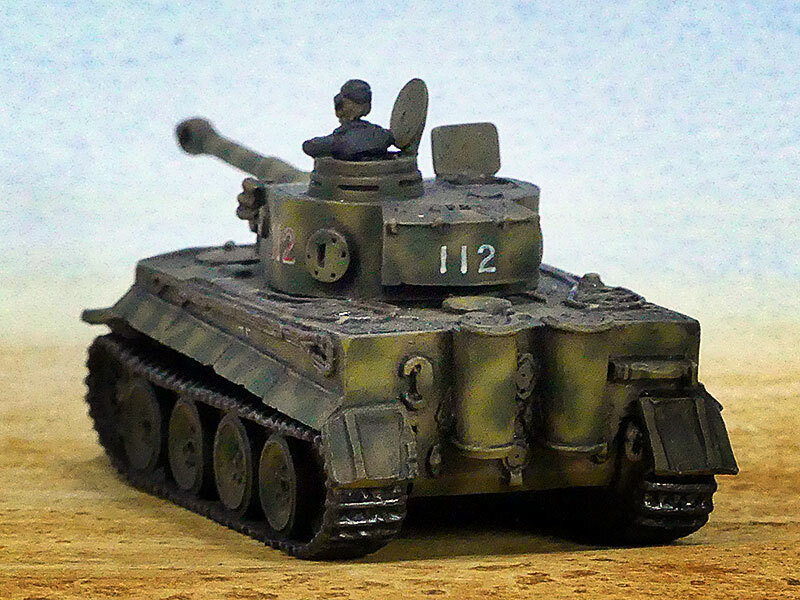 Here's my 3d-printed T-18 in 1/100 scale (15mm) all painted up. I'm not really completely happy with the weathering — the chipping isn't particularly convincing, and I'm not sure quite what to do about it. 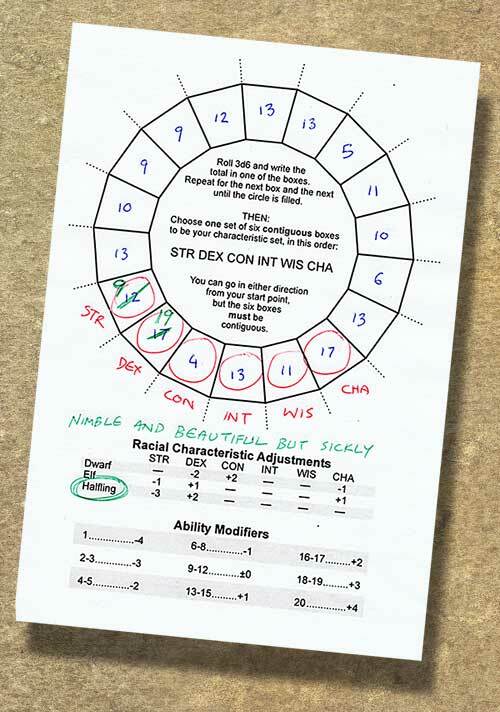 This is the system I like for generating characters for my D&D-ish games. It provides players with a reasonable degree of flexibility in choosing the class they want to play, providing decent characters without churning out a never-ending string of superheroes. Here's the PDF file (21.3KB, opens in a new tab or window). It's laid out with two A5 pages on A4, and instructions are included. Note that this is NOT a character sheet, though I guess you could use it as one. It's simply an aid to character generation. Note also that this is just a no-frills version of a much fancier one I've presented before. This one just requires no assembly, is all. That OSRIC cover always makes me think "Jazz hands!" 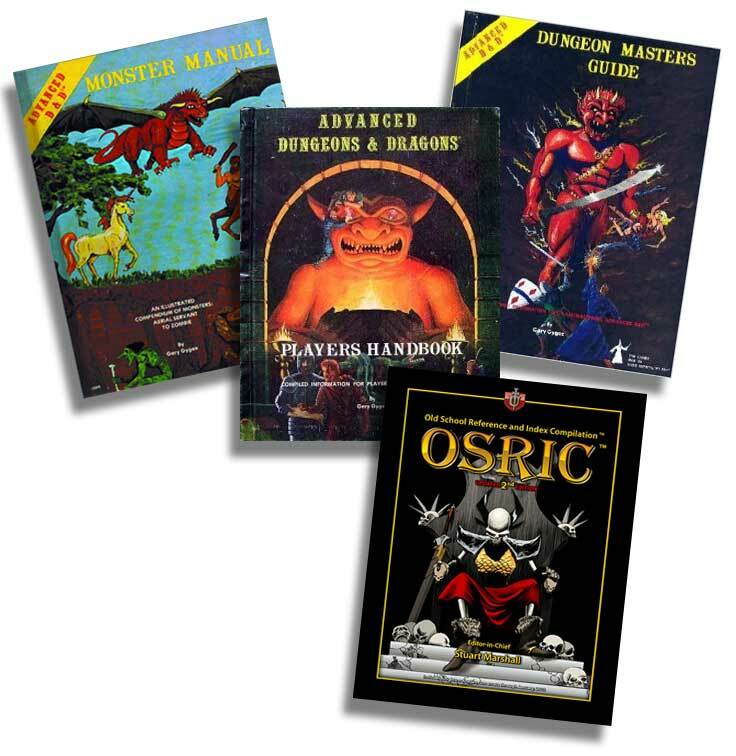 If I were to start GMing my fantasy campaign again — and it's quite a big if — I think I'd probably go with an AD&D / OSRIC based system. (Or maybe I'd revive my increasingly eclectic version of S&W). There are elements I'd add from more recent systems, such as D&D5e's Advantage/Disadvantage system, and the much more intuitive ascending AC system with attendant combat bonus. There are other things that would need to be adjusted too, to get around absurdities like only thieves ever being able to even attempt to pick a lock or only rangers ever being able to have any chance of tracking. I've seriously considered using D&D5e with all the "Old School" optional rules and restrictions in place to make it a bit less of a fantasy-superhero game, and that could conceivably work quite well for what I want, but I think it would tend to be confusing for the players who would have a whole bunch of expectations from other campaigns which would be doomed to disappointment, leading to resentment and muttering. Anyway, it's just the germ of an idea at this stage. 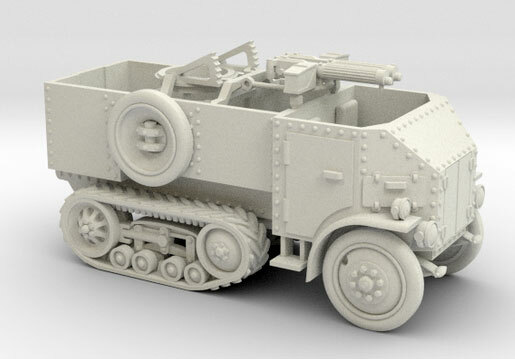 This is the Burford-Kegresse, a British half-tracked machine-gun carrier, from about 1926 I think. It mounted two Vickers guns on a modified aircraft Scarff mount. 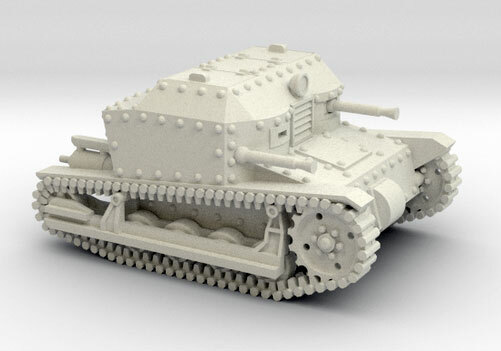 I've been pondering how to build the model so that the guns could be adjustable; it's not impossible, but I think the 3d-printing tolerances might make it impractical in this scale. 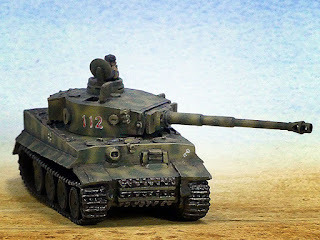 Maybe when I re-scale it up to 1/72. 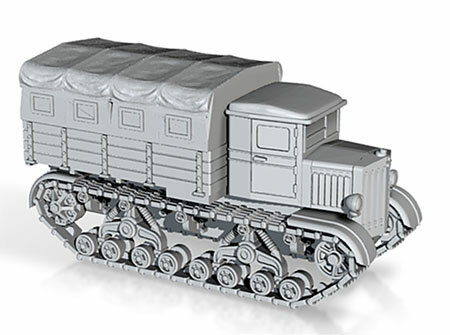 The rivets on this one are the same size as the 1/100 scale model, but thanks to the overall increase in size, they look a bit less like baseballs. 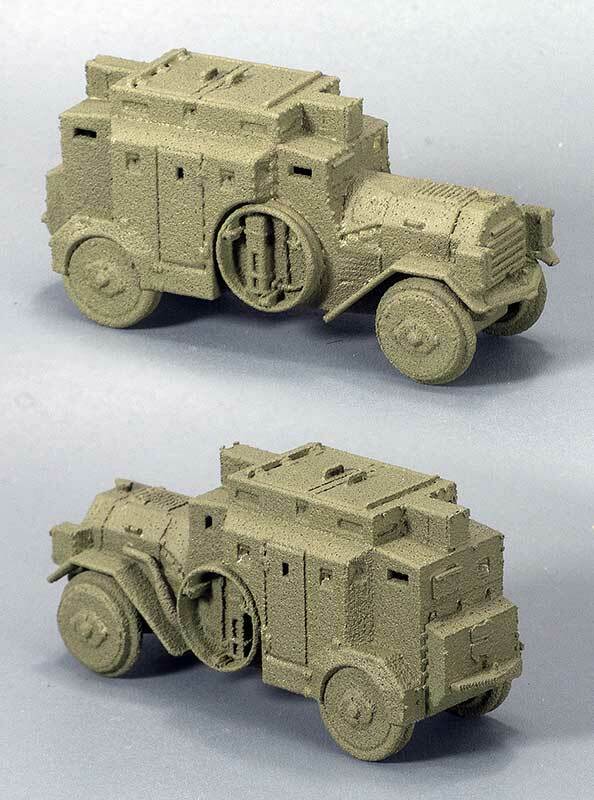 Also, the Scarff mount and Vickers guns are separate components, sprued to the main body of the vehicle. That means that after they've been cut away, they can be assembled at any orientation and/or elevation you choose. 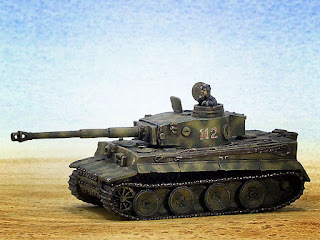 Here's my 1/100 scale (15mm) 3d-printed model of the 1932 Soviet T-24 medium tank. I notice that the blurring of detail in WSF makes the road wheels look like tiny Thomas-the-Tank-Engine faces painted by Munch. That's kind of weird. 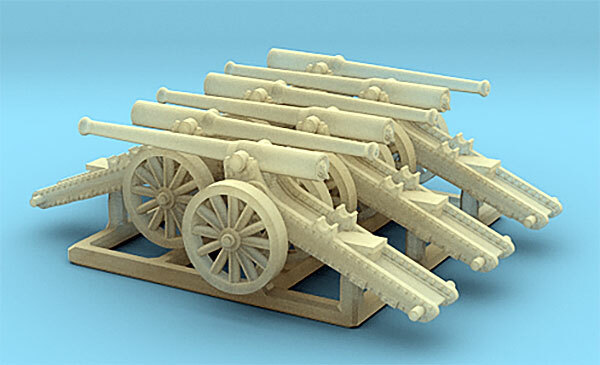 The latest of my digital models for 3d-printing is an artillery piece. The 155 mm Creusot "Long Tom" was a French field gun manufactured by Schneider et Cie in Le Creusot, France and used by the Boers in the Second Boer War. 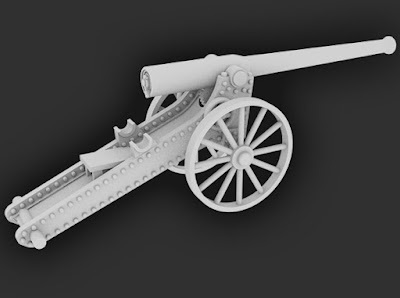 The gun barrel and trail are separate pieces (sprued together), so that the gun can be assembled at any elevation, or even in travel mode. 3d-printed by Shapeways in FUD (frosted ultra detail) resin. It should have two Gatling guns on the rear balcony, but one was lost in transit. 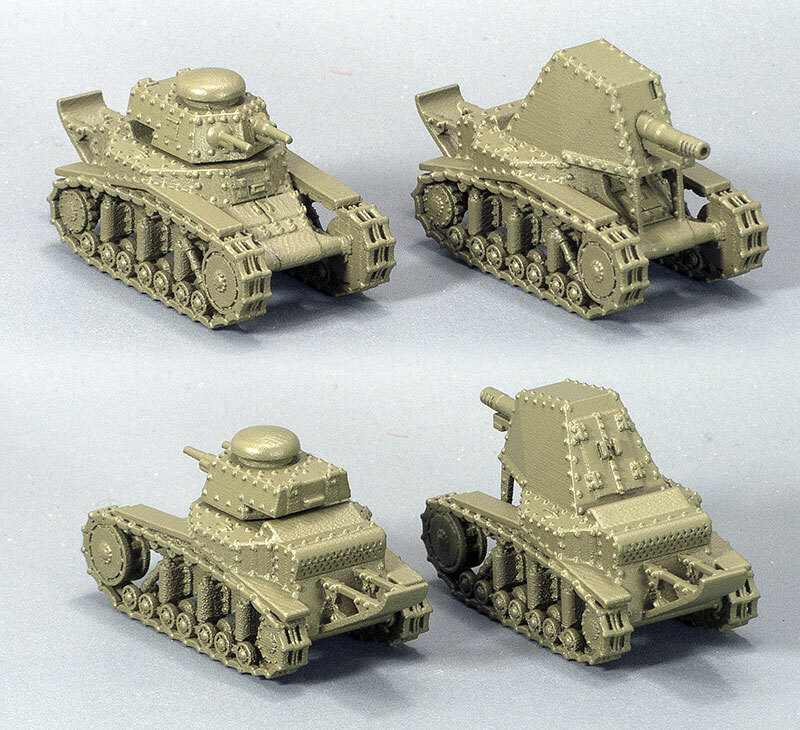 At some stage, I'll get some 6mm artillerymen (probably Franco-Prussian War Prussians, because I like the pickelhaube) to crew it. Dimensions are 37mm long x 24mm wide x 30mm tall, to the top of the funnels. 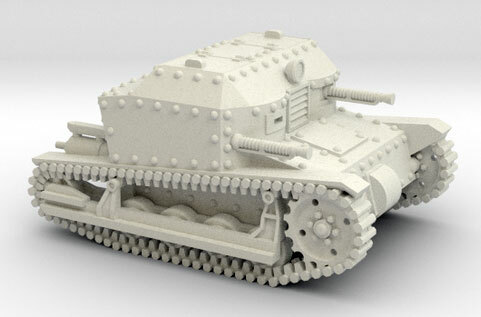 Here's the FUD print of HMSLS Improbable in 6mm. It's just had the Gatlings glued in place and been primed black (the picture is overexposed so that we can see anything more than a silhouette). It shows some quite rugged printing artifacts on some of the surfaces, but it looks much worse in a close-up photo than it does in real life, so I'm not too unhappy. It would be better printed in FED, but this will do me for the present. One of the Gatlings was lost during the handling process, so it's only got one at the back instead of two. There are a couple of places where it could do with fragile structures being beefed up, such as in the front wheels which are only attached by a slender post. 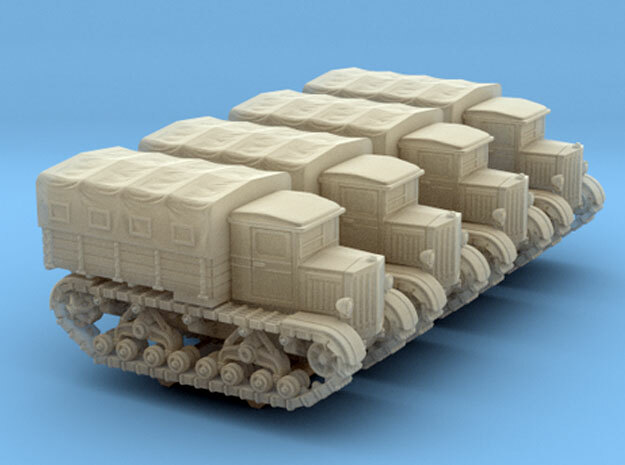 Here are my latest military vehicle prints from Shapeways. 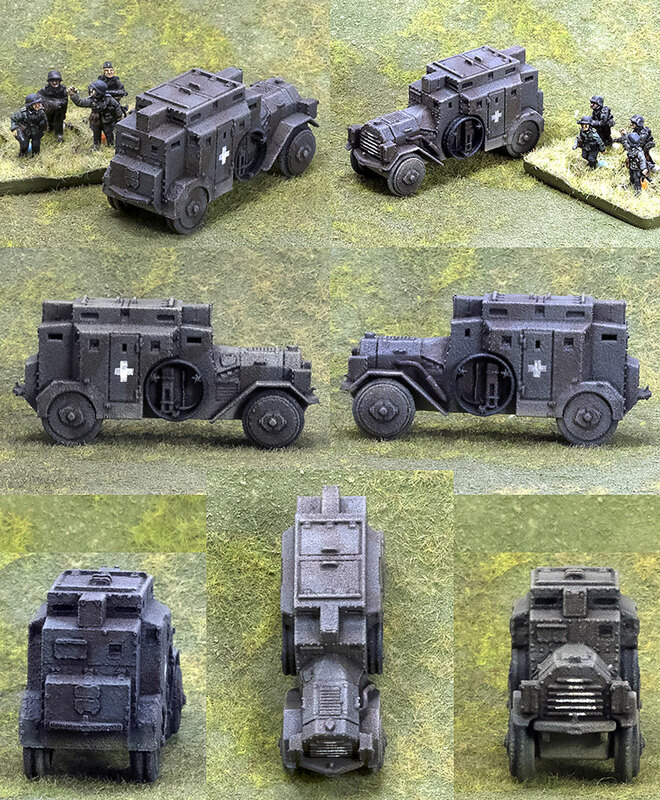 I've cleaned off the extraneous printing crap (though possibly not completely, by the look of the T-18's suspension) and sprayed them with Vallejo surface primer, which makes them a thousand percent easier to photograph, without hiding any surface imperfections. 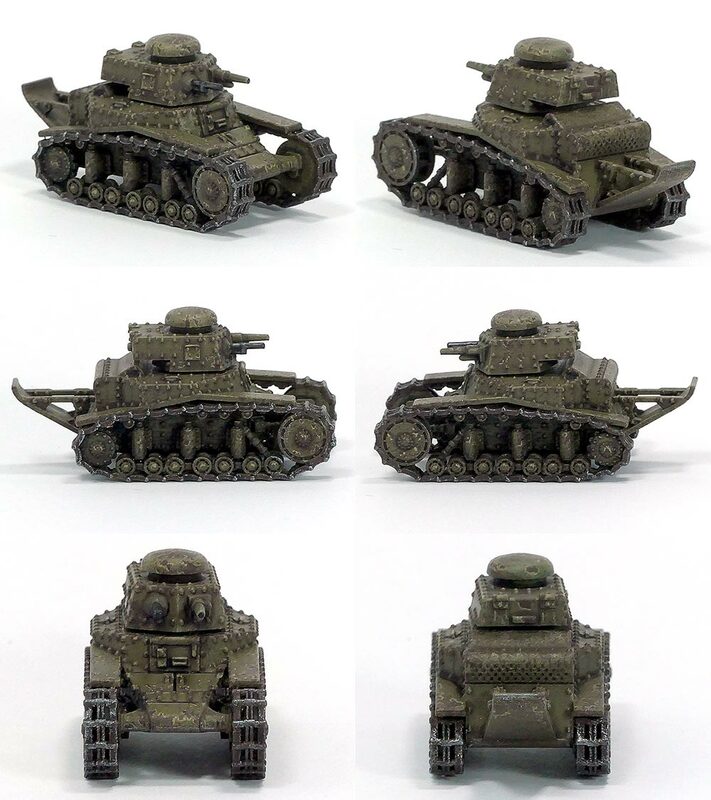 The SdKfz 3 (to the right) has been printed in WSF, while the T-18 and SU-18 (below) have both been printed in FUD. T-18 and SU-18 (15mm, FUD) primed. Booty arrived precisely as scheduled on 2016-06-02. The newest batch of prints from Shapeways arrived this morning. 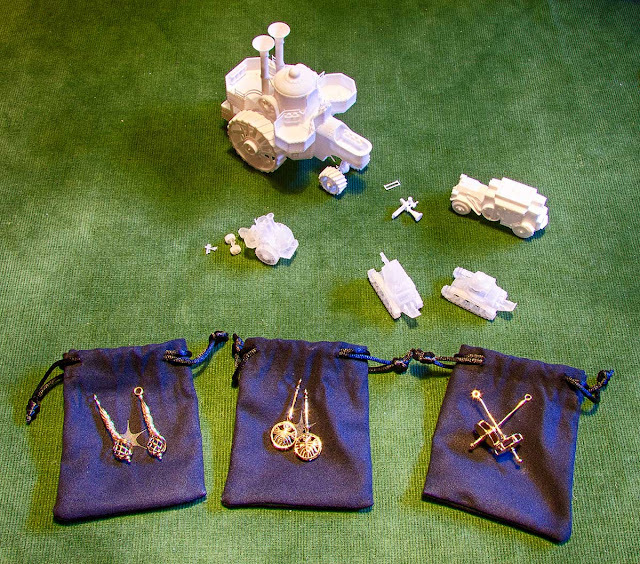 Three sets of earrings, some 15mm vehicles, and two versions of HMSLS Improbable in 15-20mm and 6mm scales. There was some breakage and incomplete printing on the Improbable — I shall have to beef up the railings and steering rods a bit more to make them sturdier and more reliable in printing, and the Gatling guns on the 6mm version are going to be very fiddly to install, but overall I'm pretty happy with it. Now I need some figures to go on them. The Gatlings in WSF on the 15mm/20mm version are surprisingly decent; I had thought that they might need to be replaced by FUD prints, but now I think they'll be just fine. The earrings are, as with all the metal stuff I've ordered from Shapeways, just great. I've been very impressed with the quality of their cast bronze, and I'll be very interested to see how it ages over the years. 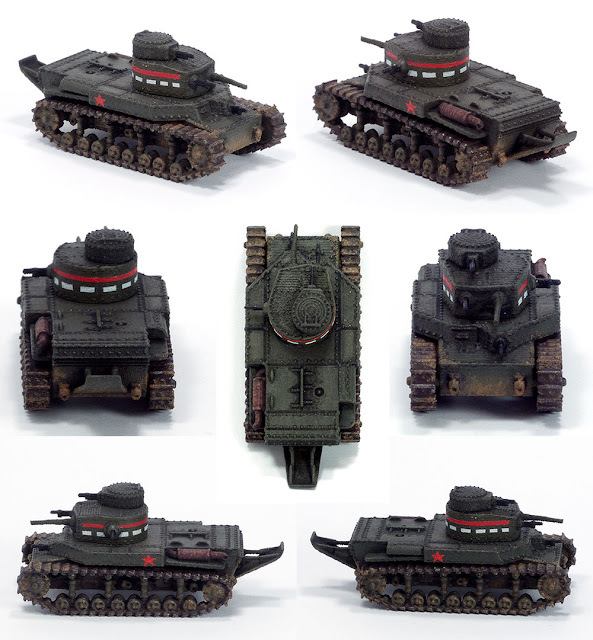 Here's the WSF render for a new model, the Czech Tančík vz. 33 tankette, based (like many others) on the chassis of the Carden Loyd carrier. 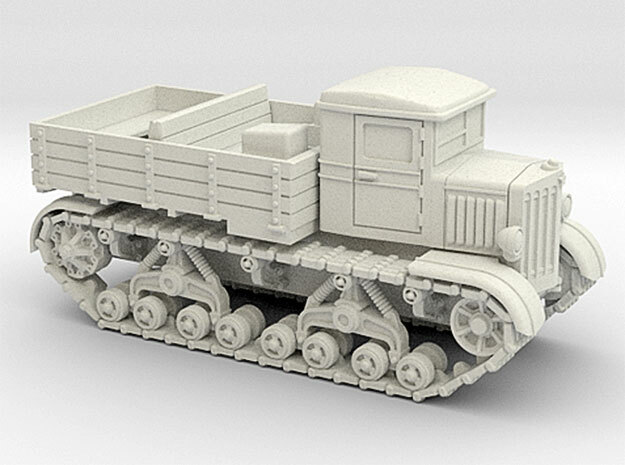 This is the 15mm (1/100 scale) version; there's a 20mm (1/72) version in the works. 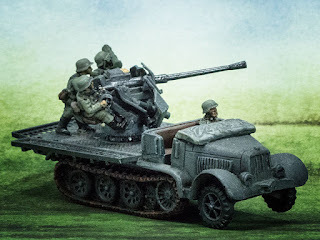 There's not much to differentiate the two of them except size, but the 1/72 version has a bit more refinement in detailing things like the machine-guns.